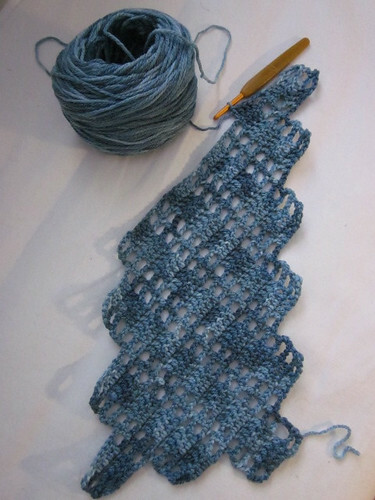 Crochargosy Scarf, a photo by Pointe Shoes Punk Rock And Purl Pix on Flickr. This entry was posted in Crochet, Projects, Scaves and Cowls and tagged Bamboo, Crochet, Merino, Quick 'N Dirty, Scarves, Stashbusting, Zen String. Bookmark the permalink.